Add the Drake Eatery to the list of buzzy Bondi food establishments you need to scope out. 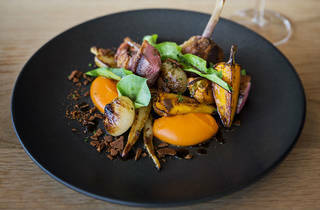 Seasonal, fresh, locally sourced produce is at the heart of this spot, the first restaurant from award-winning Sydney chef Ian Oakes, formerly seen rattling pans at the Grand National in Paddington. The plates range from side-order-portion small to eating-for-an-army large. Snack on sides of roast pumpkin, streaky bacon and Brussels sprouts, or enjoy a healthy dose of spiced grains, almonds, labne and pomegranate. 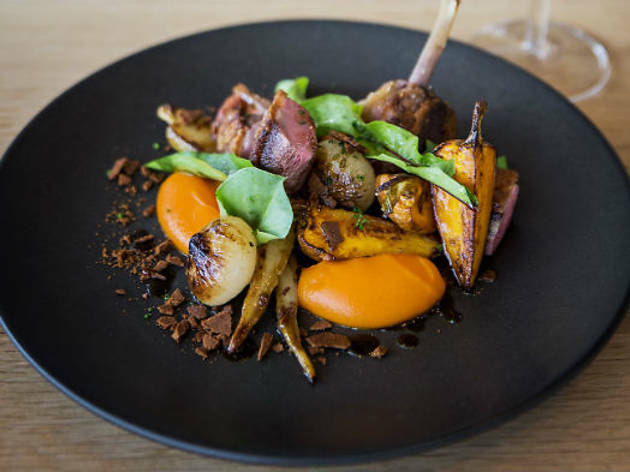 Up the ante with dishes of pan-seared thyme gnocchi with golden raisins, hazelnuts and Pecora blue cheese, or go all in and tackle the roasted half Thirlmere duck with cipollini onion, carrot and gingerbread or pan-roasted blue eye cod with celeriac, walnuts and faro. Happily snag the dessert menu when your server offers it up — cos deep down, you're still dealing with healthy, fresh ingredients — and order the white chocolate and honeycomb parfait with salted caramel or the ricotta doughnuts served with crème fraiche and lemon curd. Drake is open daily for lunch, dinner, snacks and drinks; down the line, there are plans to make it an all-day affair, with breakfast on the menu too.